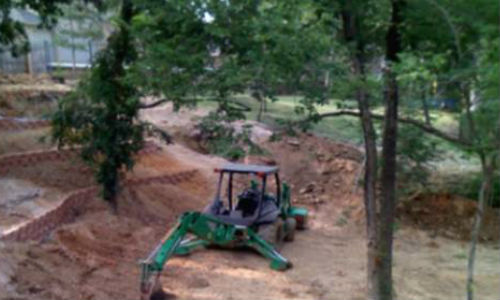 Retaining Walls are designed to restrain soil to unnatural slopes. All of our walls are designed and built using an interlocking Keystone system. Proper drainage and back fill are included in each design and estimate. 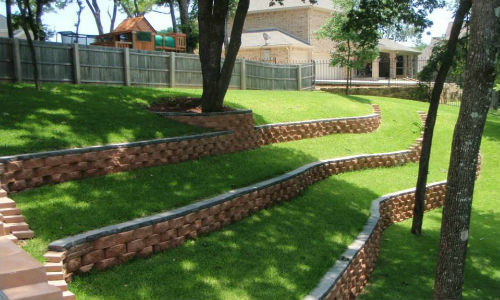 Structural retaining walls come in many different styles and textures. 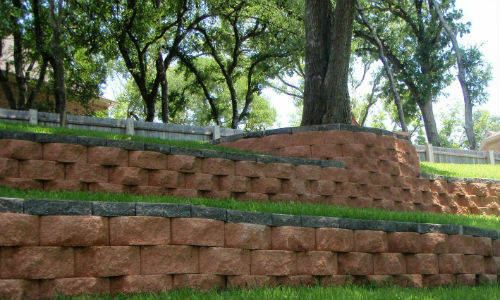 We have experience with all types of retaining wall systems from Keystone to solid concrete. 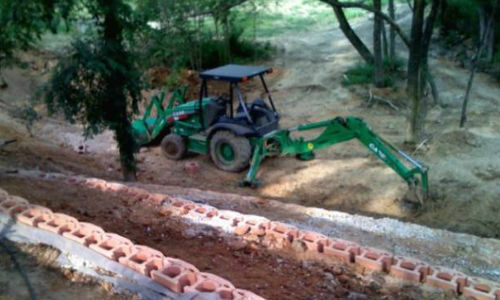 Drainage is included in all retaining wall design and installations. 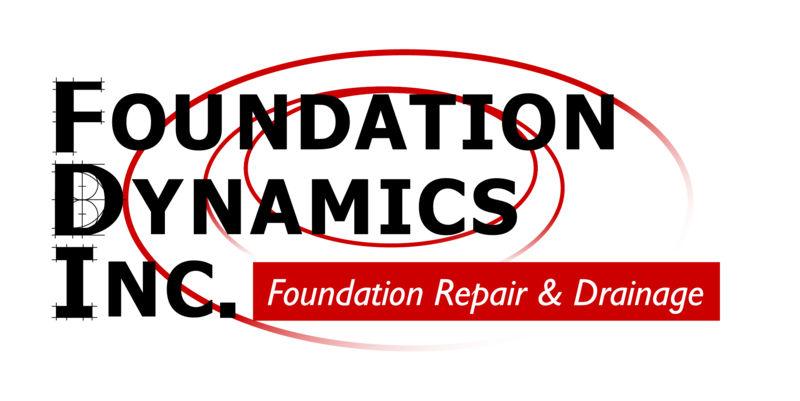 It is one of the most important elements of a structural retaining wall system. Drainage prevents lateral forces from pushing the wall outward and allows water to move safely away from the wall. Without this vital component, the wall will not hold. Most retaining walls over 48″ require an engineer report for construction. 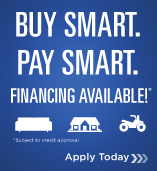 All aspects of design, location and type of wall needed can be determined by a free assessment. 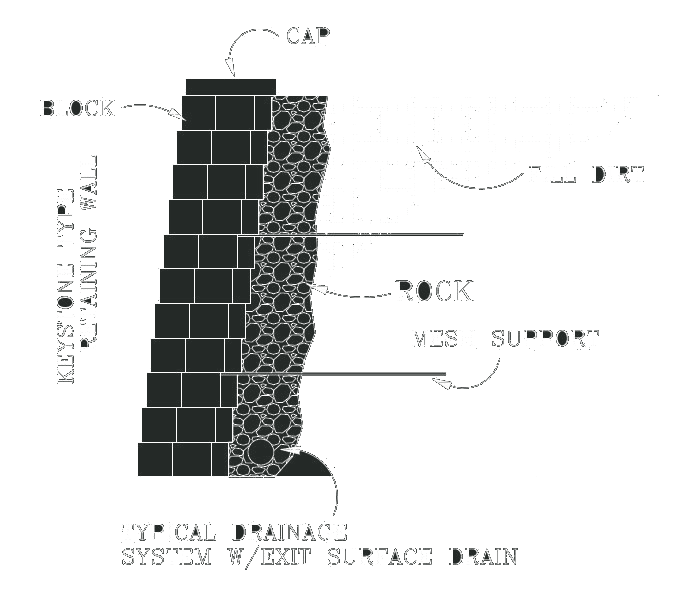 Look over some options at Keystone Retaining Walls.